RSPB Scotland staff and volunteers will be at Torry Battery every Thursday – Sunday, from 11am – 6pm until 20 August to help you to witness the dolphins spectacular displays and learn more about Aberdeen’s amazing coastal wildlife! Description: This year’s AIYF programme once again features our ‘Up Close & Musical’ range of intimate and varied daytime performances across Aberdeen, showcasing some of the best young Classical musicians from the 2017 line-up. Check out the Facebook event page for full details of the dates, times, venues and ticket information. Don the hula skirts and celebrate the Summer in style! Check out our SENSORY ROOM for children 3 AND UNDER! Children’s food will be served at 6 o’clock, and Adult food will be available to purchase from our Ready-to-Eat Menu. Advised portion sizes for Children are up to 8 years old. Description: Aberdeen International Youth Festival (AIYF) is a multi- arts event which takes place annually in Aberdeen and the North East region of Scotland. Running since 1973, the festival began as an orchestral event, and has diversified in recent years to become a performing arts festival which includes a wide range of art-forms including dance, theatre, opera and contemporary, jazz, classical and traditional music. AIYF: Extended Festival will once again be hosting a number of performances across the area. Dates, times, venues, and ticket information can be found at the Facebook event link below. Description: Kicking off the community venue events as part of AIYF is this annual visit to Inchgarth Community Centre, which this year features performances from London-based Roundhouse Choir, music from the Jamaica Youth Theatre, Dutch Orchestra Ricciotti Ensemble as well as local soul songstress Millicent plus other International Artists. Join local moth recorder and Aberdeenshire Council Ranger Helen Rowe to learn more about the fascinating world of moths, and help Helen set up light and sugar traps (that don’t harm moths) to attract these night flying creatures. Family event, under 16’s must be accompanied. All our events begin and end in the property’s car park where there is a car parking charge for non-members. Description: The popular Belmont St Market Aberdeen is set to return this Saturday at 9am! The market will showcase the very best of local produce which will include fish, beef, lamb, pork, venison, wild game, cheese, preserves, wines, ciders and craft beers as well as a selection of plants, shrubs and crafts! Come down to Belmont Street this weekend to sample some local delicacies and enjoy the atmosphere! Description: Join us for the Institution of Engineering and Technology (IET) Open Door day at Aberdeen Science Centre, on Saturday 29th July, in partnership with Shell and IET. Delve deeper into the wonders of engineering by meeting local engineers, attending exciting presentations and trying out hands on activities. Build cars powered only by salt water, test your skills at programming a Martian rover, travel offshore with a virtual reality headset and much much more! Companies who will be represented include: Shell, iMechE, Tendeka, 57North Hacklab, ESP-Engineering UK, TechFest, Geobus, SPE, Llyods Register and more to still be announced so watch this space…. Entry on this day is COMPLETELY FREE with everything included! Doors open at 10.00 with activities running till 16.00. No need to book, just come along! Description: Set sail on a music and storytelling voyage inspired by our new Sea Change exhibition. Join us for lots of Pirate fun while fun-raising for The ARCHIE Foundation and Great Ormond Street Children’s hospital. 100% of the money raised will be split between both charities! The peterhead lifeboat will be attending subject to operational and weather conditions. PLEASE PARK AT CRANSDALE AND WALK ROUND TO THE VILLAGE. There will be NO vehicle access to the harbour road (except local access) throughout the day. Description: We are all about celebrating our fantastic history and heritage here at Castle Fraser. In order to help us do this we are holding a very special event – Game of Clans. We will have demonstrations from Macdonald Armouries, Huntly Falconry Center and more. Lochter Activity Centre will be bringing along their archery targets for some “have a go” archery and a caber for tossing. This is just some of what will be available! Inside the Castle we will be continuing the celebration of our history. Focusing on tartan, its traditions and the Fraser Family. We will have special guest Gillebrìde MacMillan who starred in Outlander performing at the Castle too! Tickets for this will be sold separately. There will be outside caterering including an ice cream van. Below are our online 20% discounted ticket prices. Description: Happy holidays to everyone! Finally here’s our pick for the next bookclub meeting, The Legend of Podkin One-Ear by Kieran Larwood. Winner of the Best Story Blue Peter Book Award 2017, it’s a fantastic adventure that plays really well with the art of storytelling. Join Lottie’s Lockets for a magical session making the must have accessories for any budding fairy! Firstly we will make beautiful wands using felt and all things sparkles! To complete the look we will use magical fairy dust tailored to your unique powers and these will be bottled and made into a necklace for you to keep close to your heart. BOOK ONLINE – http://www.geekbothy.co.uk/product/workshop-fairy-wands-and-magical-dust-necklaces-with-lottie-s-lockets – or pop in and see us at the shop during our opening hours. Description: Bump to Bairn markets are brand new and exciting events showcasing local businesses specialising in everything you need from pregnancy and throughout childhood! They will also be fantastic fun family days out! Information for visitors and how to book your tickets will be updated soon! If you run a business in the North East of Scotland that in any way serves parents, parents to be, babies, families or kids then we want to hear from you! Description: From 1920s classics to modern dream machines, the big cats have defined automobile innovation and design. Our popular Jaguar Classic Car show comes again to Drum – a ‘must do’ event for all car enthusiasts. The event is free to NTS/NT members, who will be asked to show their membership on the driveway. For Non-members there is the standard grounds-only admission ticket – Adult £4, Children/Cons £2, Family (2 adults and up to 4 children) £10. Description: A Celebration of Cultural Diversity in Aberdeen and the North East. Aberdeen Mela – One World Day at AIYF 2017 will take place on the 30th of July at Westburn Park and will be a day of music, dance, theatre, song & stories that celebrate and bring together diverse communities in Aberdeen and the North East of Scotland, along with the many international visitors from the Aberdeen International Youth Festival! This vibrant & cultural festival uses culture, arts, food and family with activities to highlight the richness of many different cultural groups in the area. It is a day for all the family where sharing each other’s life styles, cultural diversity & ethnicity is at the heart of everything. Hoots mon and help ma boab! Take the high road (or the low road) and get roamin in the gloamin for Funbox’s brand new show. Join Anya, Kevin and Gary as they take a trip to the Highlands of Scotland to battle midgies, become monarchs of the glen and hear the skirl of the bagpipes in their latest singalong adventure. There’s silliness galore and songs to sing in this crazy new show for 2017. You’ll need to help us get the Funbox open – which contains everything you need to sing a song or have an adventure – but which of our special keys should we use? You may even be lucky enough to help the gang on stage! Description: Every Monday of the Summer Holidays we have a new and exciting activity for children to participate in! This is a free session, but normal entry charges do apply. All materials and activities included in price plus campfire snack. £15.00 per child, sibling discount. Older siblings welcome. Adults must remain with children. Booking required. Description: Enjoy creative adventures with your child to spark their natural curiosity and to develop their own journey of exploration and discovery. Description: Messy Monday’s at Queens Links play park! these sessions are extremely messy – old clothes plus a spare to change into afterwards is highly recommended!! Along with our usual loose parts kit, we will also be providing a variety of messy play materials! These can include fairy liquid, paint, gloop, conditioner, and mud! Children can feel free to get stuck in and play. Loose Parts are materials which children can move, adapt, control, change and manipulate in their play. Loose parts play offers children high levels of creativity and choice. The materials can be whatever the child wants them to be – the possibilities are endless. There are no set instructions with loose parts – children have to use their imagination, take control and lead their own play. With a little imagination they can be transformed into almost anything. Tarpaulins turn into dens, crates and tyres could be a car or a bus, pipes for water play and lots more! The possibilities are endless so don’t forget your imagination! Disclaimer: Sessions are run as drop-ins and operate as per Street Play programmes: they are free of charge and not compulsory; participants who feel the session is unsuitable for them are free to leave at any time; participants are responsible for their own health, safety and general well-being; Staff, Aberdeen Play Forum and Aberlour Childcare Trust are not responsible for participants. There’s no need to book, or pay. Just come along and play! Description: Footpool is new and exclusive to Scotland for ages 5+ to adult. Combining football and pool in a great new way – using your feet and pocketing balls, with the same rules as a game of pool. Its a great way to get competitive and challenge your mum or dad to a game – lots of fun for the whole family to enjoy. Older children and adults in the afternoon/evening – 2 – 8pm. Description: Join the Ranger to hunt for bugs and beasties living outside Haddo House and then join our experts inside to see which creepy crawlies have moved into the house and are maybe not quite so welcome. Moths are good outside in the woods but are they so good inside? Then make your own magical minibeast to take home. Description: Enjoy an afternoon of pond dipping and minibeast hunting at Den of Maidencraig Local Nature Reserve. Discover and record the animals we find in the water and on land. Meet at the nature reserve car park on Skene Road. First Bus 11 or Stagecoach X17 will take you to Skene Road. Remember to bring wellies! Booking essential – spaces limited. Call 01224 326 429 or email countrysideranger@aberdeencity.gov.uk to book. Sticks and Stones – outdoor fun for the under 2s! Description: Outdoor fun for the under 2s. Come for a half hour pushchair walk through the lovely woods at Hazlehead Park, followed by an hour of play in amongst the trees. Explore treasure baskets, play with diggers, swing in the hammock! Cost – £5 per child. Adults go free. Book online. Description: It’s time for our August sling meet on Wednesday 2nd August! Summer should be in full swing and we are inviting you to join us for sling chat, hires, help with your own carrier and demonstrations. We will also have our popular “try me” table: a table full of our personal sta shes for you to try out with the aim of finding your perfect carrier or just to try something new! We will also be joined by NCT Aberdeen and Shire’s new Cloth Nappy Library! So if you have any interest in switching to cloth – this is the place to be! Combining football and pool in a great new way – using your feet and pocketing balls, with the same rules as a game of pool. It’s a great way to get competitive and challenge your mum or dad to a game – lots of fun for the whole family to enjoy. Description: Come along to our Fun with Fossils day to explore the giants that once roamed the Earth. Make your very own trace fossil in our Build a Fossil Workshop; Discover the Giants of the Past in our interactive show; Uncover clues to the past in our dig pits; Erupt a volcano in our Volcano workshop. Little Explorers aged 3-5 can join in the dioscovery too with prehistoric Story Time! Description: Safe indoor fun with soft play shapes, chute, hoops, stilts – plus teas and coffees for parents. We have baby changing facilities and a toddler toilet seat available at the centre. Description: Come for an explore around the amazing sand dunes at Balmedie Country Park. Collect some natural treasures to make a superhero’s cuff then, with the help of a space blanket fly, jump or slide your way down the really high sand dunes! Description: Friday mornings will take place on the beach front – in the section with the large access ramp (3 sections to the left if coming from the Beach Leisure Centre; directly opposite the foot underpass); in the event of high tides or extreme wind conditions the session will be moved to the Beach Play Park. Description: Granite City Bricks are bring a new improved Lego show to Aberdeen. More Lego displayers with old, new and completely one off designs. Each month we will update on who will be coming with a small look at what they will be bringing. Friday VIP – If you are a massive Lego fan and wanting to view the show in a bit more relaxed environment we have special VIP tickets on Friday the 4th of August. There are only 100 on sale and each ticket will get a goody bag of Lego with some one off event souvenirs. You can also return on the Saturday. There will be a 5ft Lego hero to guard the door, Large Lego displays from local Afols. Challanges, design a minifigure and also how to make your own Lego animated film. Money raised will go to quiet time on the Friday which will be free for SensationALL and MeToo magazine to use. Also they will be displaying at the Event on the Saturday. Parking in the area is free and within walking distance. 4 & under are free both sessions. 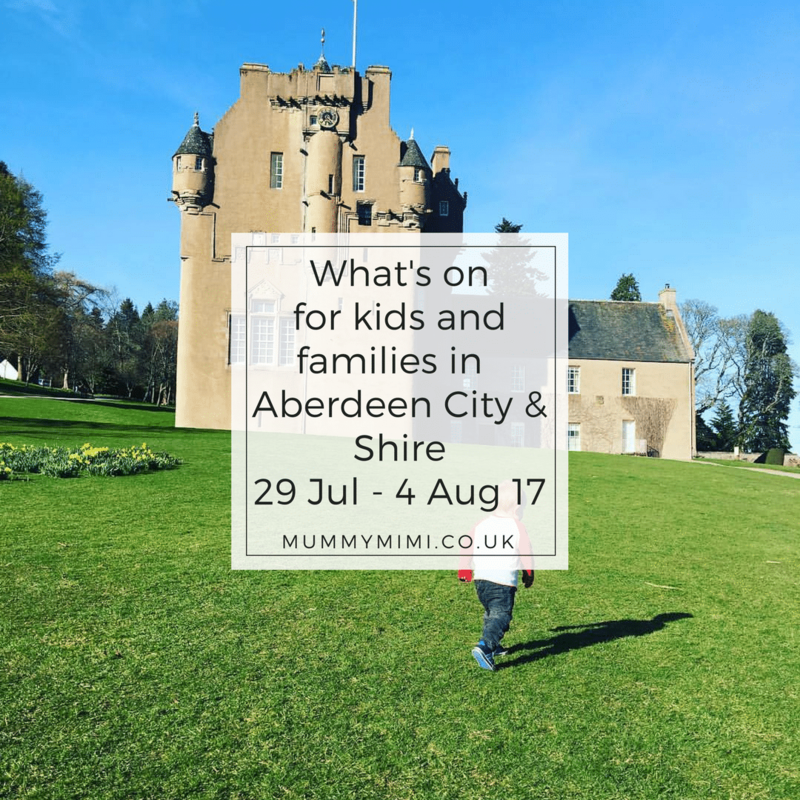 Description: At Aberdeen Play Forum we run play sessions in parks and green spaces around the city during school holidays. We provide our loose parts kit for children and families to play with.